What in this world has the power to break or make someone? Have you already thought about Love, in your mind? You are partially correct then. When in love, you may or may not do things that affect your personal life, but in the course of trying or not trying many things change which uncovers circumstances you didn't expect. Can love ever die? What exactly is true love? What is beyond attraction and lust? Is loving yourself a self obsession? Or love is only about the longing? After all these relevant or irrelevant questions, what else do you think can make or break someone? Do share your thoughts in the comment section below. I recently read Harp, a book by author Nidhi Dalmia, who is from India's one of the oldest industrialist families. Being brought up in an environment surrounded by business and industrial culture, would have given him an insight about the characters in his debut book Harp. Nidhi Dalmia is a sports enthusiast himself and a lover of music while he also holds several important and prestigious positions in professional bodies. Coming to the book Harp by author Nidhi Dalmia, the story is set in the late sixties and is about the coming of age of the protagonist Ashok and other important characters Aparna and Lauren. Harp is the story of love and the longings, the existence and the belongings, the yearning and the survivals. Being a coming of age story, the book Harp, also takes the reader on a journey across various countries and in the midst of all these explores the social mindsets and the economic conditions in India and abroad, the challenges faced by the people and the revolutions that keep playing hide and seek with its existence. The communism of the sixties, the culture, the music, sexual outlook, behavioral and student transformation are discussed. The story of the book Harp in a gist is of Ashok, an Indian from an eminent industrial family who travels to Europe in the quest to learn more about various methods of modern business, the necessary upgradations and implement them back home to only enhance but also expand the family business. In between of all these he explores not only himself, but his desires, the wrongs and rights and somehow falls in love with Lauren, a Polish musician. The story of Harp further continues as to how his life changes after that, several rejections because of mindset of multiple parties involved. While all this was happening, Ashok gets introduced to Aparna, another woman, which, according to Ashok's family is a perfect suit for him, followed by the usual conflicts that you would see when someone marries or even is in a relationship with the significant other from a different caste, let alone religion or nationality. 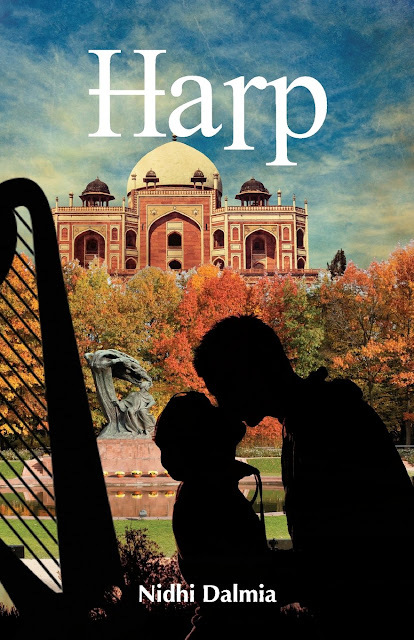 Harp, may not be a regular love story, but it will hook onto you. It is heartbreaking for a few while comforting for others, it makes you believe in it while the simple essence of the story being truth and hope. The strong and effective characterization followed by impeccable narration adds more beauty to the story, probably teleports you to the scenes and the actual locations. Though the characters may not be relatable owing to the era, they belong to, but the writing makes you relate to them. The story of the book Harp is about the second chances one deserves, one longs for and the one wastes. Another important aspect of the book is that, though subconsciously, it makes one see through the fortunates and unfortunates, things and people both. It might be a 400 page long book with 100 small chapters, but it is unputdownable. The writing is simple yet excellent, the minute detailing of the locals from food to people to behavior is appreciable. The book Harp by author Nidhi Dalmia connects the various strings of human life from love to music, travel, survival, countries, culture, reforms and existence in itself and how we humans try and hit the strings perfectly and probably that's why the name HARP!